Multi-instrumentalist 12 has recently commented on the unexpected passing of former DEICIDE and DEATH guitarist Ralph Santolla, who died in Tampa, Florida on June 6th following a heart attack. Santolla recorded a solo for the OORC' song "From Neptune Towards Assyria". "I met Ralph on the road a few years ago, we stayed in touch and he ended up recording a solo on Order ov Riven Cathedrals' last album. Working with Ralph again was such an indescribable emotion. I knew he had health problems recently but I'm baffled by the news of his death. There are no words to explain how I feel. I've now decided to dedicate our next record to him. See you on the other side". 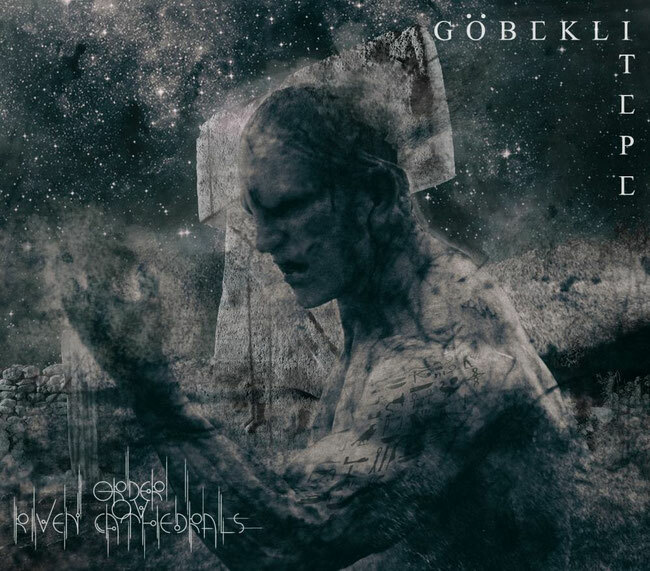 Following their critically lauded debut album "The Discontinuity's Interlude", issued only a year ago, mysterious Italian act ORDER OV RIVEN CATHEDRALS returned this past March with their second full-length album titled "Göbekli Tepe". Produced by the band and by Stefano Morabito in Rome's famous 16th Cellar Studios (Fleshgod Apocalypse, Hour Of Penance, Decrepit Birth), "Göbekli Tepe" sees ORDER OV RIVEN CATHEDRALS refining their frantic and emotionally intense death metal sound merging heavy and dense riffs with ethereal and intriguing ambiences. Ancient aliens, antediluvian civilizations, nuclear wars of the past... everything flows together and feeds the epicness of the ORDER OV RIVEN CATHEDRALS, in a mixture of bravery, brutality and desperation. ORDER OV RIVEN CATHEDRALS is a phenomenal combo, born from the nefarious will of 12, creator and soul of the band, author of all the music as well as the lyrics, orchestrations and electronic parts. En Sabah Nur rules the kingdom of the voices and spearheads the act's music. "Göbekli Tepe" was recorded in January 2018 and features guest appearances by legendary American guitarist Ralph Santolla (Deicide, Obituary, Death, Iced Earth and many others) and by Inverted Star, an external contributor who took care of some solos and bass lines. "Göbekli Tepe", inspired by the famous archaeological site and by the infamous theories connected to it, contains the essence of the destructive will of the ORDER OV RIVEN CATHEDRALS: furious, epic, devastating, far from the canonical themes of extreme music and at the same time able to offer a new vision of death metal, more epic, even more violent. Main peculiarity of the ORDER OV RIVEN CATHEDRALS is the total absence of faces and names: in fact, the band does not believe in the diva behaviour that often plagues today's metal. As an extreme form of art, metal should be disconnected from those frameworks that often dictate canonical music. There are no names, there are no photos, there is only music and an innovative conception of sound violence able to radically change today's extreme music scene.